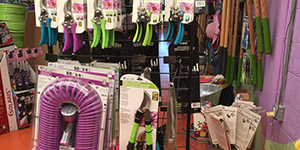 Drew’s Garden has all the tools you need to take care of your garden and landscaping. 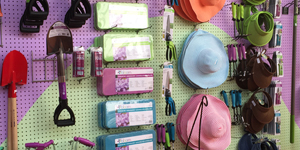 You can find a wide selection of garden tools in your favorite fun colors, and we have everything from the necessities to the little extras that make taking care of your yard and garden fun and rewarding! 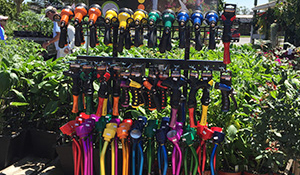 Come to Drew’s Garden for premium brands you can trust to take care of your lawn and garden like Scott’s and Miracle-Gro products. 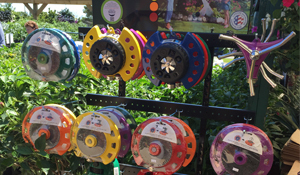 Miracle-Gro Plant Food products produce spectacular flowers, bigger vegetables, lush foliage and stronger trees and shrubs vs. unfed plants! 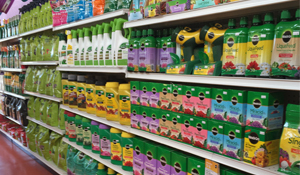 Miracle-Gro has a product for every plant in your home and garden, and we can assist you with your needs. Your grass craves periodic feedings, and it is best to meet this need for periodic feedings by fertilizing lawns with “slow-release” products. Scott’s has put together a 4-step fertilizer program that makes it easy for you to have a lawn that’s the envy of the neighborhood, without having to have a science degree to achieve these results! Scotts Turf Builder With Halts Crabgrass Preventer. Apply this in April or May. 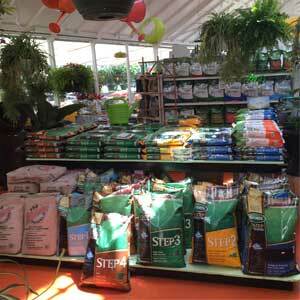 Fertilizing lawns goes hand in hand with weed control. Scotts Turf Builder With PLUS 2 Weed Control. Apply in June. This fertilizer fills the need for additional weed control, as the herbicide component fights everything from ground ivy to purslane to white clover. Scotts Super Turf Builder with SummerGuard. Apply in July or August. This fertilizer strengthens and summer-proofs your grass, while combating a spectrum of harsh seasonal threats like insects, heat and drought. Scotts Winterizing Fertilizer. Apply in fall. 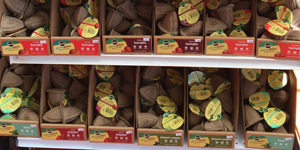 This fertilizer will not only prepare grass for winter, but also give you a head start towards achieving the green turf you’ll want next spring. Before fertilizing lawns with these products, read the instructions on the bag carefully (or ask one of our associates for details). All photos and images on this site are licensed and used with permission, and may not be copied, downloaded or reused in any manner. For a list of photo credits, please refer to our Privacy/TOS page.